According to a study conducted by social scientists at Monash University, Chinese migrant workers living in Australia are 5 times more likely to suffer from gambling addiction than gamblers who are native Australians. One of the study’s lead scientists, Dr. Harriet Radermacher, says that part of the reason why Chinese migrants show such high rates of gambling addiction in Australia is that gambling plays such an important role in Chinese culture. Australia is quickly becoming a gambling hotspot for China’s growing middle class. This is because gambling is illegal in China. Chinese gamblers still want to play their favorite casinos games, though, so these China-based gaming enthusiasts go to places like Australia, Macau, and Vietnam to enjoy the gambling opportunities in these countries. Australia’s casino operators are well aware of this fact, and have gone to great lengths to advertise games to Chinese gamblers. Some casinos have even begun serving authentic Chinese food at their restaurants to appeal to migrant workers and Chinese tourists. 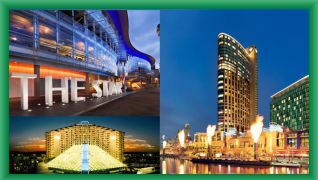 There are a number of non-profit organizations in Australia working to improve the relationship that Chinese workers have with Australian casinos. A financial counselor named Fang Yu says that she regularly speaks with Chinese people living in Australia who are have fallen into huge debt because of their gambling addiction. Yu even says that some of these problem gamblers have lost their homes or cars to their unresolved gambling issues. Like Monash University’s gambling study, Fang Yu explains that the connection between Chinese migrant workers and gambling is embedded in China’s unique relationship to gambling and luck. She says that most Chinese believe that gambling is a fun and recreational pastime.